Overwatch is a very good game, and the best thing about it is that it always manages to bring in front some new maps, characters, skins, and other great additions! As a result, it’s a game that you will play with great pleasure. The best part about it is that it always tries to balance characters, and this is why you will find changes to old characters pretty often. It seems that now it’s Bastion’s turn. As you might already know, Bastion is the great turret-based character that was quite a threat in the beginning. At first, people were afraid to engage a Bastion character, but now this has become one of the less-played characters. Why is that? Because players figured out a way to eliminate Bastion and counter his attacks. All of this is set to change, though, as the next PTR update for Overwatch might come with some interesting changes to our robot friend. Why does Blizzard optimize this character? It’s pretty easy to understand; they want to do all in their power in order to balance characters and make people play him again. It will not be a hard thing to do, as the new changes seem to be very interesting and a delight for those that already play Bastion to begin with. One of the main changes comes to the Recon mode. Here you will have a larger magazine size and you will also have a lower spread. This will offer the character more viability. 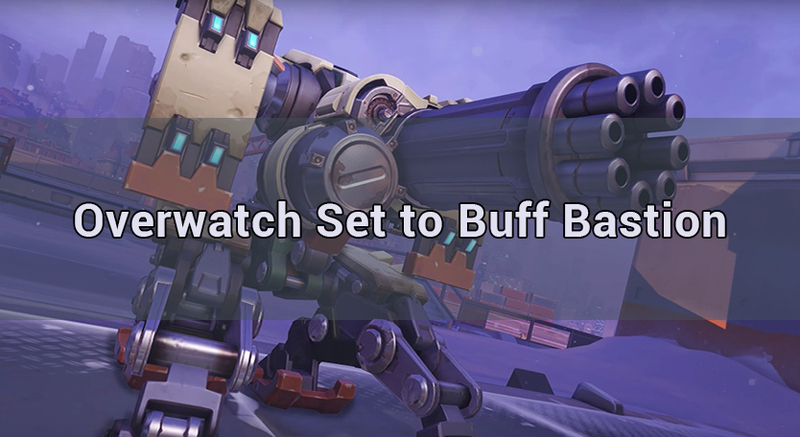 In the Sentry mode, Bastion might receive increased speed and headshot removal. It might even have a lower range, but better efficiency. He will also take 35% less damage! He will be a tank buster and barrier buster, rather than an all-around killer. The self repair will be usable while moving, which is quite an interesting change. I, for one, got shot many times while trying to stop and repair, so I believe that this is a welcomed addition by most players. A thing to keep in mind is that the main focus of the PTR changes for Bastion is to make the character a bit more powerful, while allowing you to survive more. I believe that the new core changes to Bastion are more than welcome and the entire experience will be a very good one for sure. It’s safe to say that a lot of people will try out Bastion again, and hopefully we will see it more and more in matches. For now, Bastion is almost gone in online competitive matches, and it rarely appears in casual matches as well. Either way, it can be a fun way to boost the character’s importance. Will these changes make Bastion more fun to play for sure? It’s hard to say, but if one thing is certain, it’s Blizzard’s determination to balance the game. You should definitely consider playing Bastion after the buffs come in full effect after the PTR, which might happen in just a few weeks!